MAARSSEN, The Netherlands – 2005 was a disastrous year for the Polish domestic market and could be compared only with 1998, when Romet collapsed and the market expected imposing of anti-dumping duties on bikes from Taiwan. The Polish bicycle branch has a lot of things to blame for this state of affairs – MP3 players, cheap DVD players, mobile phones in competitive prices, but probably the biggest (and real) reason for this disaster was the horrible weather during the spring and early summer of 2005: very low temperatures and rain. Relatively warm July and September could not help much to recover the losses made in early months of the year. 839,600 bikes, that was all there was sold in Poland in 2005. It was a real disaster, even when compared with the not-too-brilliant 2004, when 1,171,000 bikes found a Polish customer. The lowest in modern times was 1998 (818 thousand units), but then the reason was a serious shortage in bikes due to the collapse of the Romet state factory. The 2005 results are a far cry from the year 2000, with 1,244,000 bikes sold, and the record year 1995 with 1,415,000 units. The biggest problem in 2005 was the weather – winter temperatures until May, the months usually crucial for bike sales. Cold combined with rain gave disastrous results for the trade. Bad domestic sales create big stocks. The largest stock total was 848,000 bikes in March (when normally sales take a start). Polish producers had stocked 407,200 units, importers 198,500, and wholesalers plus dealers 242,700. The situation at the end of the year did not improve much, the stock total in December was 810,500 (producers 302,000, importers 196,300, wholesalers plus dealers 312,200). On the other hand, it was just 18,802 units more than in the end of December 2004. Polish manufacturers made 1,555,400 bikes in 2005. That is almost the same figure as in 2004, when 1,556,000 bikes were assembled. Market leader is Kross. This company from Przasnysz covers 40% of the domestic market. Kross sold 800,000 bikes in 2005, of which more than 50% were exported. Main destinations of Kross export are France, UK, Germany, Scandinavia, Benelux, Switzerland, US, Canada and former Soviet Union countries. In 2005 Kross established trade offices in Germany and Russia (plus an assembly plant and logistics center near Moscow). Kross signed also an agreement with Dorel (Schwinn bikes for dealer distribution), and Mongoose (for superstores). Other Polish manufacturers share the remaining 60% of the cake. Arkus did not do very well (see box below), but IB from Bialy Dunajec, Jan Zasada BEH and Unibike had good results. Imports shrunk. Comparing 587,908 imported bikes in 2004 with 391,218 in 2005, the difference is more than visible. The main reason is the big surplus in domestic prodution. The largest supplier of Poland is China (209,241 units), next in volume is Taiwan (80,095), Vietnam (50,955) and Malaysia (13,535). 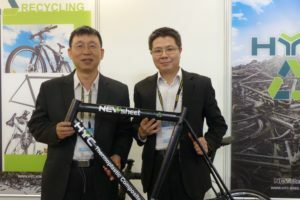 The average imported bike cost $ 63, but the cheapest were from China: $ 21, Malaysia $ 67.03 Vietnam – almost three times more than the Chinese bicycle: US $ 72.17. 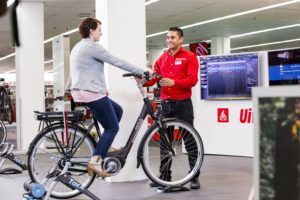 The most expensive bikes came from USA (US$ 400.38 = € 336), from Germany (€ 318) and the Netherlands with an average price of € 281 takes third place. There was a huge, more than 50% decrease of import from China: 209,241 units in 2005 vs. 523,781 in 2004. Import from Taiwan more than doubled – 80,095 vs. 35,550 in 2004. There also was huge increase of import from Vietnam (11,938 in 2004 and 50,955 in 2005). Import from the USA (not very big), but grew from 380 to 1541 units. Import from the Netherlands more than doubled (from 452 units to 1,159), Switzerland brought in a couple of hundred Scott bikes. Italy seems to gain (growth from 1,985 to 2,697 units), and a new player is Malaysia with 13,535 (cheap) bikes. 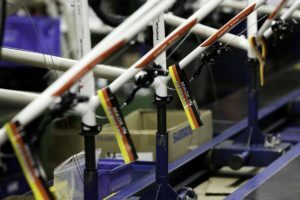 Value of the Polish bike import in 2005 was € 24,687,245, comparing to € 34,223,745 in 2004. The Polish export showed substantial growth – from 943,564 units in 2004 to 1,082,470 in 2005. This may be considered as proof of the fact that Polish quality matches the standards of its export countries. Main recipient is Germany (439,298 units, almost doubled from 271,049 in 2004). 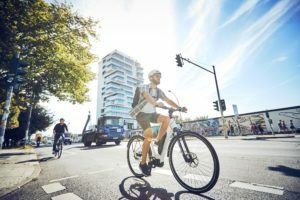 France is second with 376,829 bikes, and the quantity remains stable. The situation with the Netherlands is similar (76,071 units). Export growth to Denmark (from 7,251 to 35,441 in 2005), but export to the UK decreased from 163,605 in 2004 to 60,842 in 2005. Average price per exported bike was € 83. The best bikes were sold to Sweden (€ 124), a little cheaper – to Switzerland (€ 114) and to the Netherlands (€ 99). The UK spec’d the cheapest Polish bikes (€ 67). 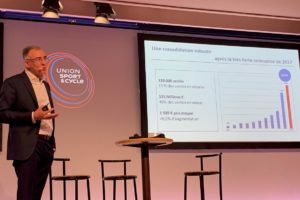 Even bikes exported to the Ukraine were more expensive (€ 70), beating the renowned French price-squeezers (€ 71) and Denmark (€ 74). The value of Polish bike exports in 2005 was € 89,647,049, comparing to 2004, when it was € 68,135,971.